I am super cearl right now, manbearpig is real! 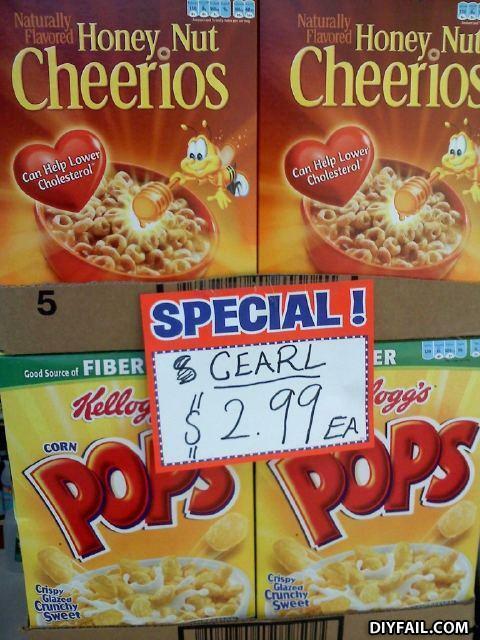 The cearl brands varies, such as Kurn Pohpz, Hune Nuth Jeerios, and Froit Lupes. "seral no wait c ..c..cearl yeah dats it cearl........whatever, the folks dat shop here gonna' hab no pwoblems readin' dat"
slow down! you move too fast. you gotta make the morning last. just tripping down the cobblestones. looking for fun and feeling grovvy.